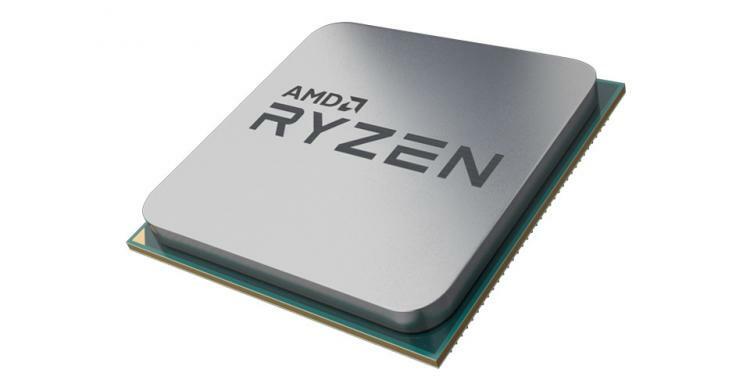 We're still a couple of weeks away from the much anticipated launch of AMD's Ryzen 2nd Generation CPUs, and with only leaked information to work from concrete details remain sparse. However it now appears we have UK retail pricing to work from, leaked via reddit quite a few weeks following the presentation slides that indicated US MSRP. 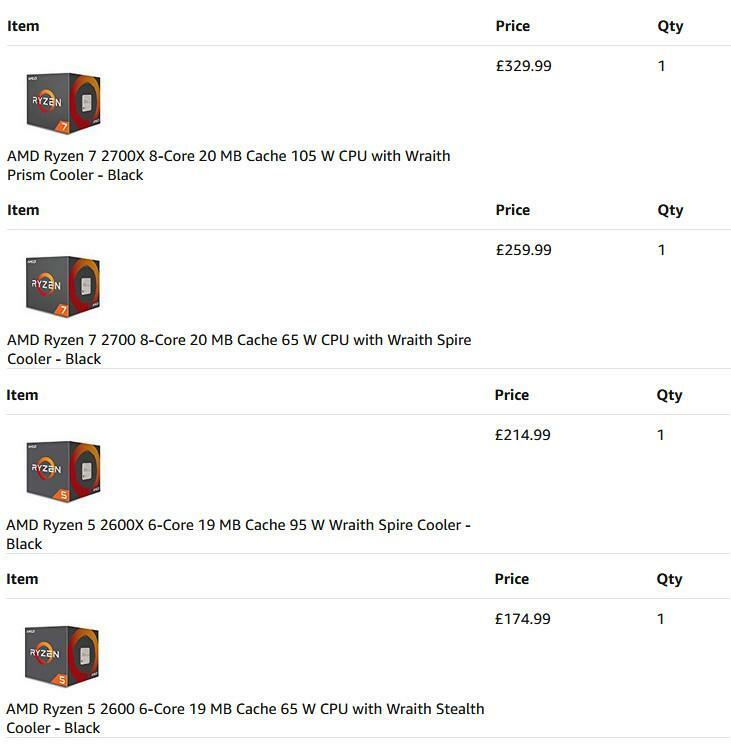 This time around the 'leaks' are in fact delisted but still active pre-order pages at Amazon UK for the four Ryzen 7 and 5 CPUs get to be released later this month. Each listing is explicitly for packaged retail CPUs rather than OEM/CPU Only consignments, and each include an appropriate air cooler. Pricing for SKUs that don't include a cooler should therefore be slightly lower, but perhaps not as low as you might expect. The Wraith Prism is a new boxed air cooler shipping exclusively with the 2700X, a development at least partially made necessary by the new CPUs 105W TDP. It incorporates direct contact heatpipes and RGB LED illumination for both the fan ring and blades, and apparently can be set up with multiple profiles for varying overclocks and lighting preferences. Operation should be very quiet at just 39dB. The pricing of these pre-orders is roughly in line with US guidance after VAT - slightly more for the flagship Ryzen 7 2700X, less for other models, but generally well within the same ballpark. This is however just one retailer and likely in advance of confirmation, so take them with a pinch of salt for now. "They're Coming" - NVIDIA GeForce Teasing Something New For Laptops?